Say no to disposable coffee cups and yes to the Axis. 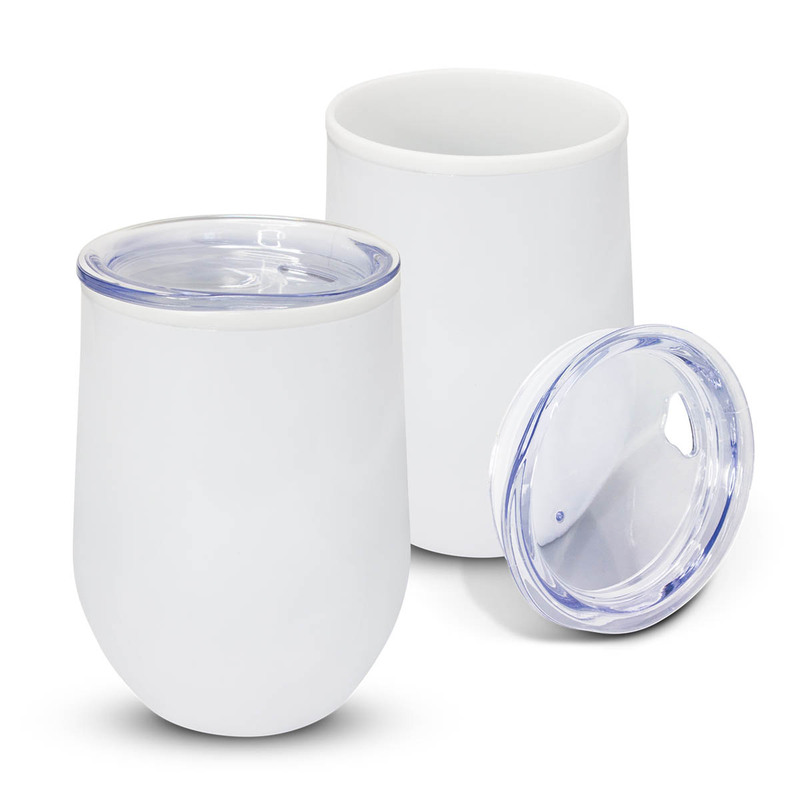 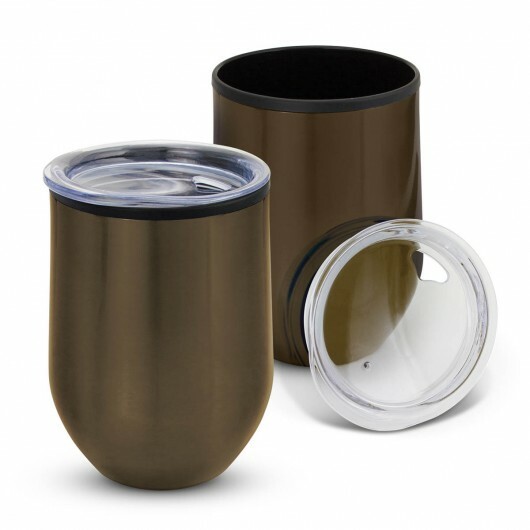 A new style coffee cup that has a curved design and a secure push on lid. It has a double wall build with a stainless steel outer wall and polypropylene inner wall that will keep drinks hot for longer. 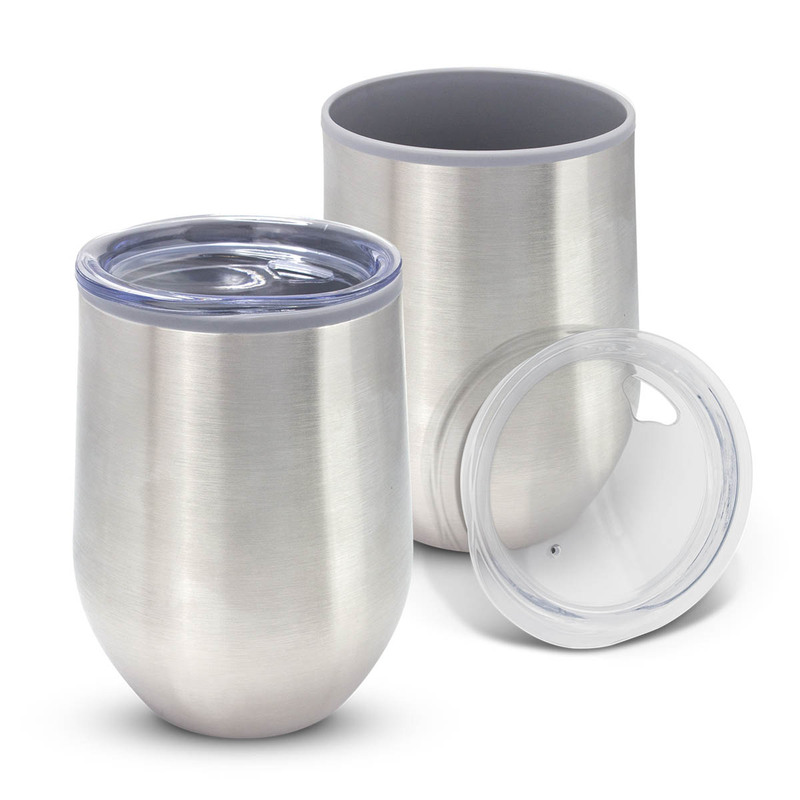 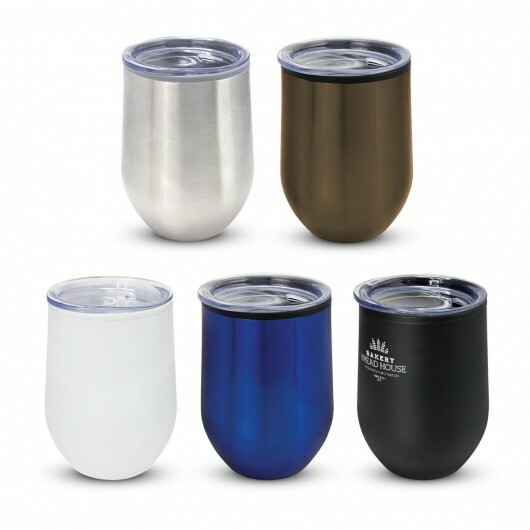 The cup engraves to a stainless steel finish, is BPA free and has a non-marking base.